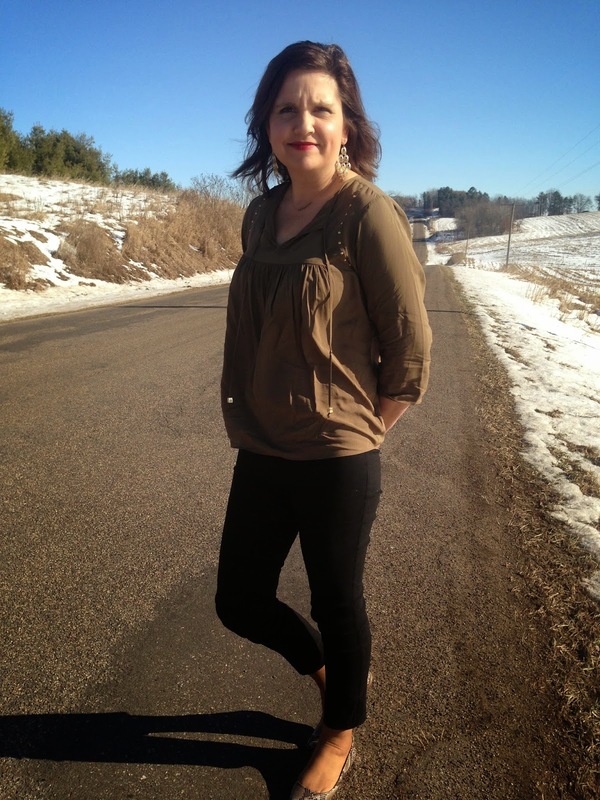 Amy's Creative Pursuits: Fashion Over Fifty: A New Michael Kors Shirt! Hello! Remember when I told you that my lovely daughter bought me two new Michael Kors shirts for Christmas? Well here's one of them. I've been a very fortunate momma; I got a Michael Kor's shirt for my birthday and two more for Christmas. That brings my favorite designer items up to four, because Ashley gave me a pair of Michael Kor's gloves for Christmas last year. I really love this top. It's very soft and silky to the touch, and the style is perfect for my figure. I like how it gathers above the bust line and not below it, and as in all of Michael Kors items, it is full of interesting detail. The color of the shirt is hard to define. I'm not sure if it's brown or taupe, and it's actually got a bit of an olive green undertone to it too, so I wasn't sure what would go with it. Since it was the first time I wore it, I decided to play it safe and wear it with black, but I could see wearing it with my new off-white cords too. Black and brown use to be a big fashion don't, but in the past few years it has grown in popularity and become a trend. I really like the two colors together. My black pants are Emer High Waisted Cropped Trousers that I received in a Stitch Fix from almost a year ago. Because my outfit was kinda plain, I really dressed it up with a lot of bling. 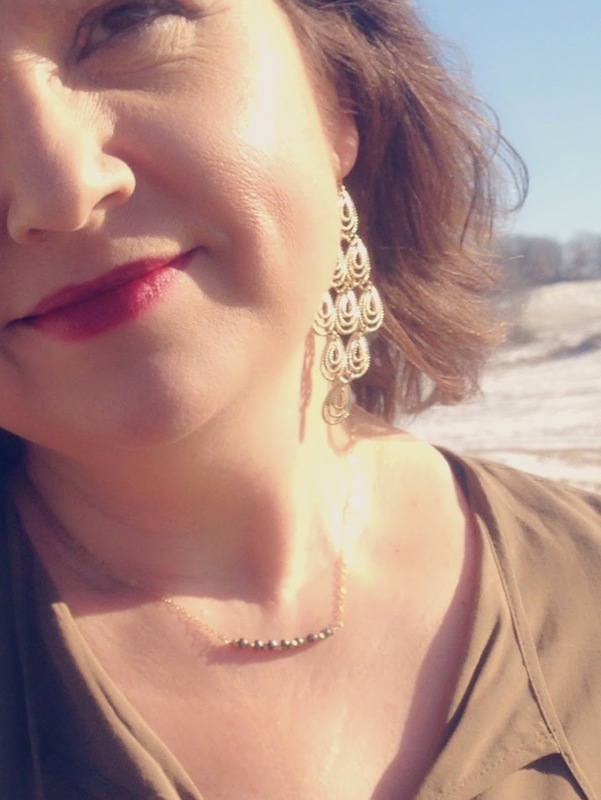 I wore large gold statement earrings (old), and a simple gold necklace by Jill Michael (also from Stitch Fix) because a bold necklace with bold earrings would be too much for me. 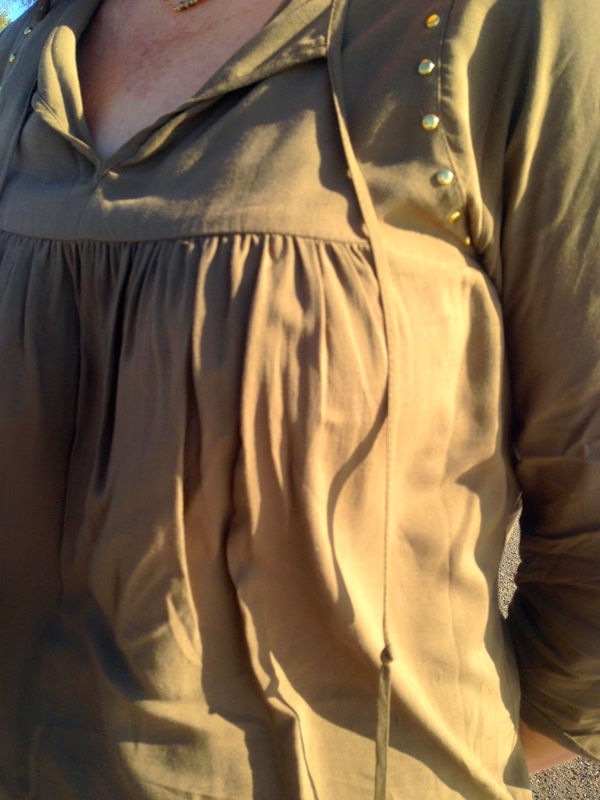 Plus, with the gold studs already on the shirt near the neckline, I didn't need too much more jewelry around my neck. I also had a large, gold bangle that I just picked up on clearance for only a few dollars from Express that you can see in the first picture. My pointy toe, snake skin print flats are from Express. I bought them last year and this was the first time I ever wore them. I tell you, I have a lot of clothes and shoes I've only wore once or not at all and like a lot of fashion bloggers out there I made a resolution this year to cut back on my spending till I wear out my closet a bit! Or maybe I should start selling my clothes on-line, many fashion bloggers do that too. What do you think of that idea? These shoes are so cute, but they are not comfortable. I really am not a fan of pointy toe shoes. Michael Kors always has to put his signature on his items somewhere, and on this shirt it is imprinted on the gold cord stops. Too tiny to even photograph, but trust me, it's there. I always love looking to see where his symbol is on the clothing he designs. It's never in the same spot. Remember when I showed you my new winter coat? Well guess what? I bought another one. It's not like I didn't love that one, I do, but it's warm, too warm. I can't believe I'm saying that. Me, too warm? But when we have a warm winter day, like above freezing, it's just too warm, so I wanted a more light weight winter jacket to wear on those days. 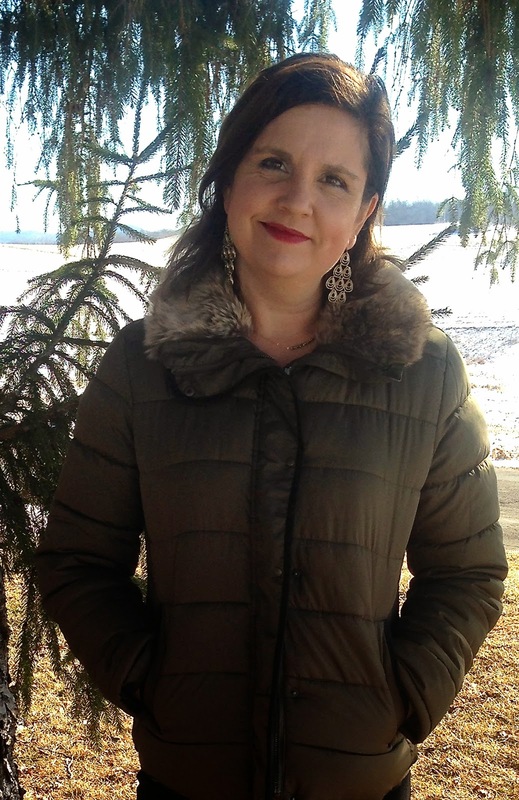 I gave my old winter jacket to my daughter because I didn't think I would need it anymore, but it turned out I really missed having a shorter jacket to throw on, so when I saw this jacket at Old Navy for a mere $25.00, I bought it. It provides all the warmth I need whenever it's above 35 degrees, and it's a different color than the usual black or grey I have hanging in my coat closet. I love the fur collar too. And I was actually surprised at how warm this jacket was too. True, I've never worn it when it was really cold outside (I wear the other one I bought then! ), but I have never been cold when I put this jacket on either. Old Navy has so many cute, wool, pea coats on clearance right now that I'd love to buy too, but really, how many coats does one girl need? And as always, I have my Kamik Boots on when walking outside. Unless I'm running errands, I usually wear my Kamik Boots when I'm outside and change into my dress shoes once I'm inside. It helps keep my shoes looking brand new when they are not exposed to salt and snow, and it keeps my feet toasty warm. If I'm running errands and there is not a blizzard out side (but I wouldn't be running errands in a blizzard anyway), I usually wear combat boots or my high, flat black boots. I love outfits that are comfy, yet, somewhat dressy, don't you? That's what this outfit is to me. I could wear it all day and still be comfortable, yet, feel like I was dressed up. It's all due to the stretch pants and loose fitting top! If I had to pick just one outfit that defined my style, this would probably be it. Comfy, with a touch of glam. So what about you? Do you think you could define your style in just one outfit? Do you have any favorite designers out there? I'd love to hear from you! Linking up with More Pieces of Me, A Touch of Tartan, I Feel Pretty, Classic Yet Trendy, and The Daily Express. Love your new top! So pretty and looks wonderful with the black. I can also see this with a wine/burgundy or a pretty Hunter green shade. Your fun flats look perfect with this; too bad they aren't more comfortable. 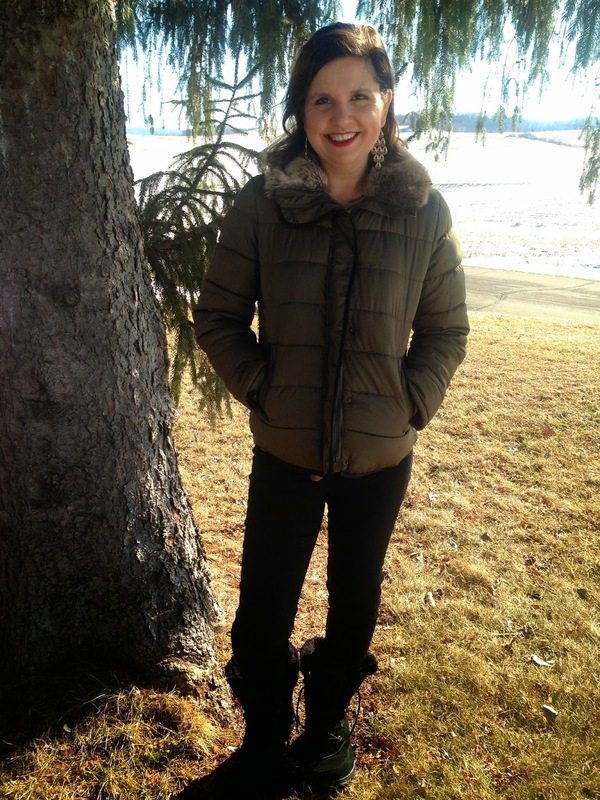 And what a great deal on your new puffer jacket! Ooops, your right. Thanks for letting me know, I go visit the correct blogger now. I need to stop hurrying through my emails and read more carefully. I know what you mean about the kids. I did the same thing when my kids were young. Them first, me last. I also need to check my spelling/grammar before I hit 'post' LOL! I mean't to type 'I'll go' not 'I go'. 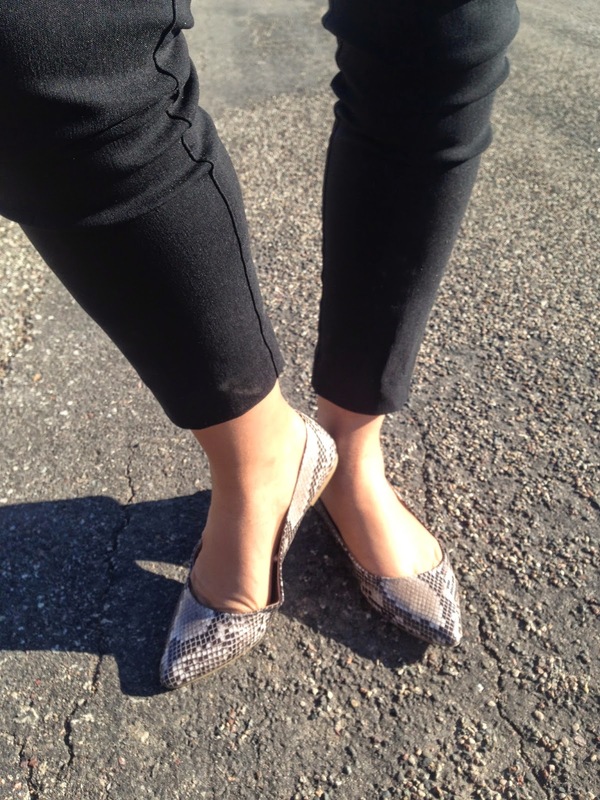 Nothing I don't love about your flats - Two of my favorites -python and pointy toes! Thank you for linking up with SHOE AND TELL FASHION LINK UP on Style Nudge!! Hey, great post! 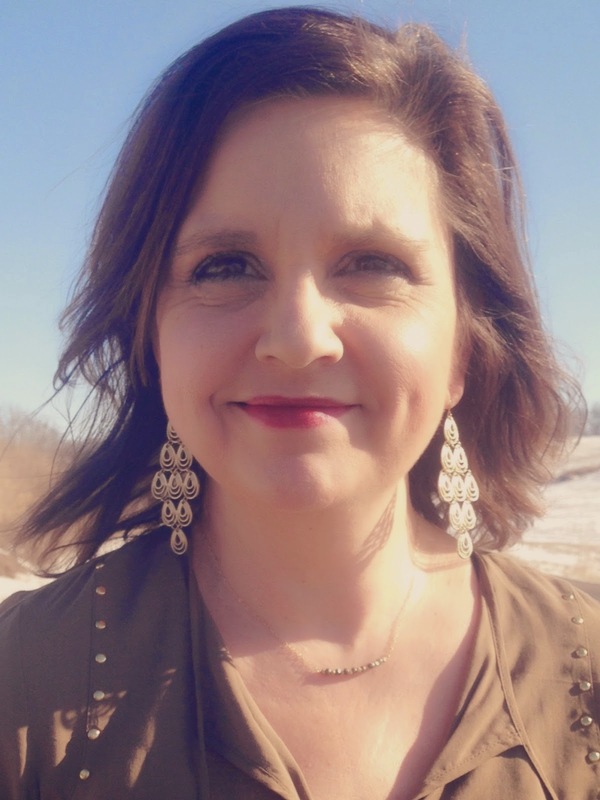 I found you on the Style Elixir LinkUp.